John Flesch Passes | Industry Analysts, Inc.
FITCHBURG—John M. Flesch, age 67, of Fitchburg, passed away on Friday, March 29, 2019, at UW Hospital and Clinics. He was born on July 14, 1951, in Madison, the son of Gordon and Rozanne (McCormick) Flesch. John was a third generation Edgewood High School graduate, and graduated in 1969. John met the love of his life, Jeanne Stalker, while working with at risk children at a non profit organization called Browndale. On Feb., 15, 1975, John and Jeanne were married. 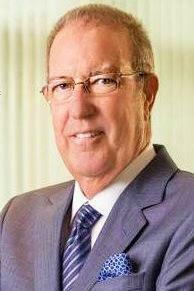 John started working with his father and brothers at Gordon Flesch Company (GFC) in 1976. At GFC, John used his innate people skills to find and hire great talent, and specialized in sales and human resources, eventually becoming Vice Chairman of the Board of Directors. This entry was posted in Uncategorized and tagged Gordon Flesch, John Flesch by IA Staff. Bookmark the permalink.